Ballet Dancers - Too old for me? First of all, I would like to say thank you for all of your advises and tips, they're all really helpful, not only to me, but to everyone, too. So here's my question and sort of a problem. I'm 17, turning 18 next year, (July), and when I was younger I took ballet classes for a year but I quit. Now, I really want to go back to dancing ballet but I don't know if I'm too old to go back and the thought of going to a dance school and ask about it is really embarrassing for me so I never did. Please please please please answer my question. Am I too old to take ballet classes again? Thank you so much. To:- Ballet Dancers - Too old for me? Thank you for your lovely message and kind words, I appreciate it and glad I can be here to help! It's great to hear from you. If you want to take dance classes again just as a hobby to fulfil your love of dance, then you have absolutely nothing to loose. Go for it! You're never too old to take ballet classes for the fun of it. There are many more adult classes now and ballet seems to be like the new trend, so there's no need to feel embarrassed. Follow your heart. If you want to take classes with the intention of pursuing a career in ballet, it most likely is too late. 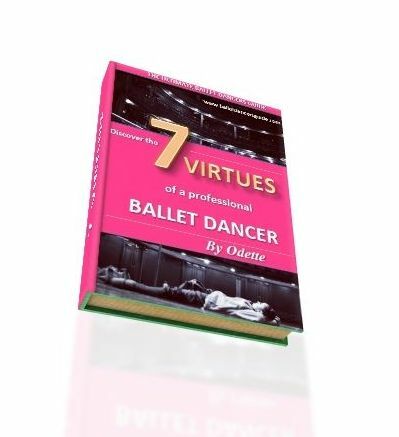 If you look at my Career Development Plan, ballet starts as a very young career with most dancers joining professional ballet companies from the ages 18 or 19. I hope this helps, but if you do want to start ballet again just for yourself then don't hold back! Take action and look at dance schools which hold classes for your ages, then enquire and begin pursuing your passion.